As Marketing Communications Manager, Lindsay Van Schepen ensures a high level of quality is maintained in all marketing and corporate communications by adhering to corporate brand standards and compliance requirements. In addition she is involved with the firm's public relations and event planning. 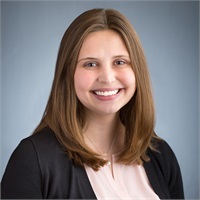 Lindsay has a bachelor’s degree in Business Administration with a dual-concentration in Organizational Leadership Management and Marketing from Cedarville University in Ohio. She joined MACRO in 2011.